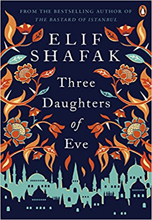 Set across Istanbul and Oxford, from the 1980s to the present day, Three Daughters of Eve is a sweeping tale of faith and friendship, tradition and modernity, love and an unexpected betrayal.Peri, a wealthy Turkish housewife and mother, is on her way to a dinner party at a seaside mansion in Istanbul when a beggar snatches her handbag. As she wrestles to get it back, a photograph falls to the ground - an old polaroid of three young women and their university professor. A relic from a past - and a love Peri had tried desperately to forget.The photograph takes Peri back to Oxford University, as nineteen year old sent abroad for the first time. To her dazzling, rebellious Professor and his life-changing course on God. 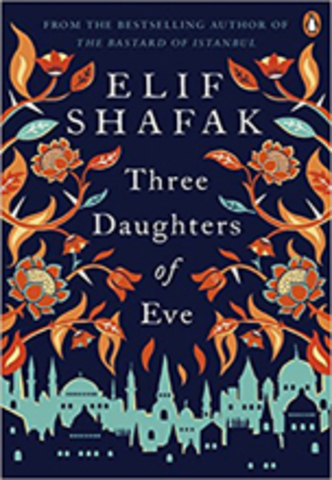 To the house she shares with her two best friends, Shirin and Mona, and their arguments about identity, Islam and feminism. And finally, to the scandal that tore them all apart.Shirin, Peri and Mona, they were the most unlikely of friends. They were the Sinner, the Believer and the Confused.